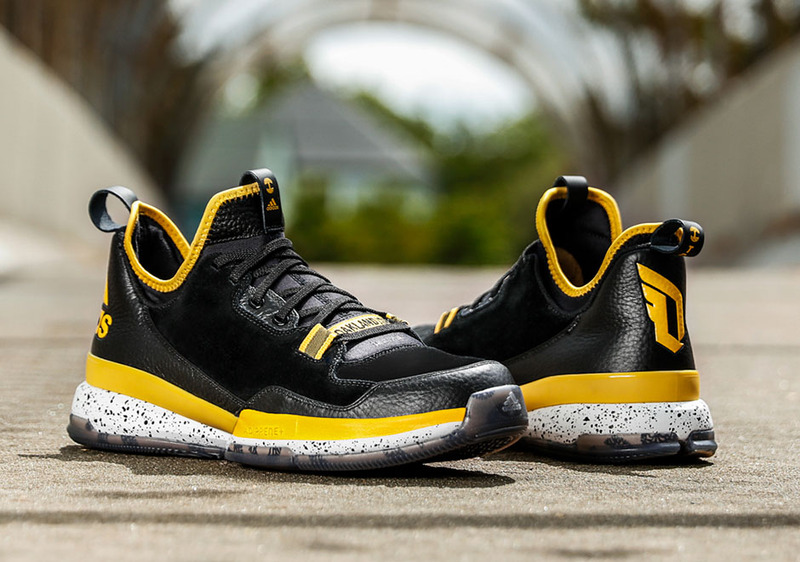 Today marks the release of the newest version of the adidas D Lillard 1 sneaker. 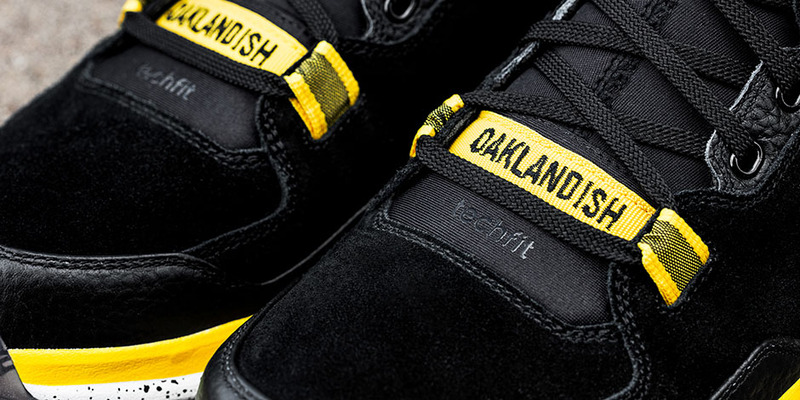 Paying tribute to the Trailblazers point guard’s hometown of Oakland, CA, this latest yellow/black colorway has been created in collaboration with Oaklandish, a brand committed to bettering the surrounding community of Oakland. A predominantly black upper composed of suede and adidas Techfit material is complemented by accents of yellow. 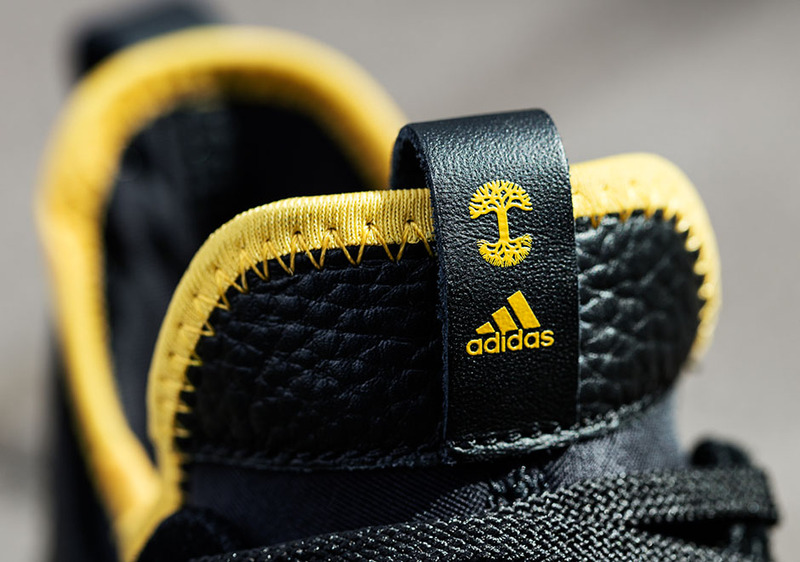 While Dame’s insignia appears on the heel, Oaklandish branding appears both at the bottom of the tongue and on the tongue tab. 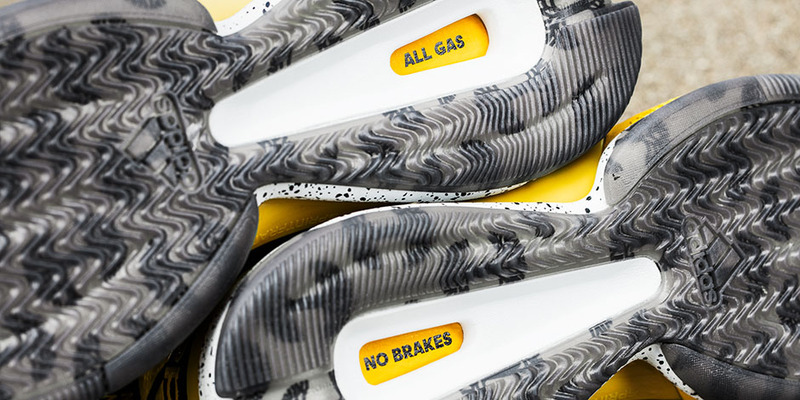 Rounding the shoe out is a speckled midsole, and an outsole with the phrases “All Gas” and “No Brakes”.